Hi all!! Happy Hump Day! 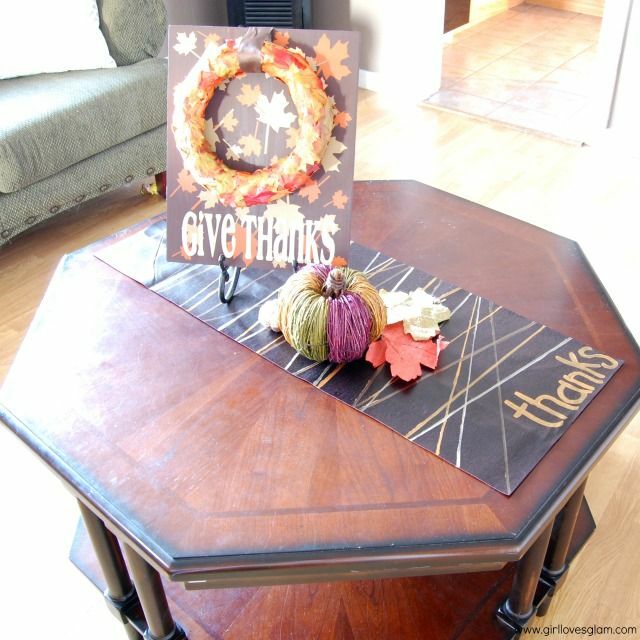 :) Today I wanted to hop on and share with you a project I made using the Harvest Collection from We R Memory Keepers. I really love this collection, and how it has some of the traditional fall colors with the browns, yellows, and oranges, but this brings in these pops of blue. The patterns are gorgeous too, and I really wanted to create something that I could use as many as possible. I had seen this image on Pinterest, and really loved the wreath on the canvas. 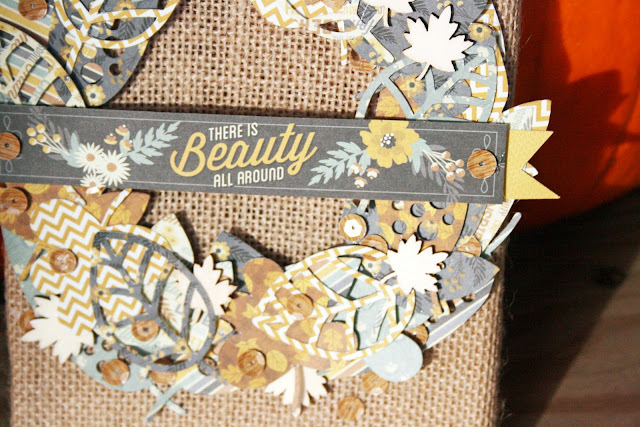 I simply layered the cut leaves into a wreath, added in some wood veneer, and wood grain sequins. Then added a sentiment banner using the border strips paper in the Harvest 6x6 pad. You can view the full Harvest collection here, and make sure and check out the We R Memory Keepers blog, for lots more inspiration using the Harvest Collection! This is such a pretty piece! Love the texture and all the layers of cuts! This is stunning! 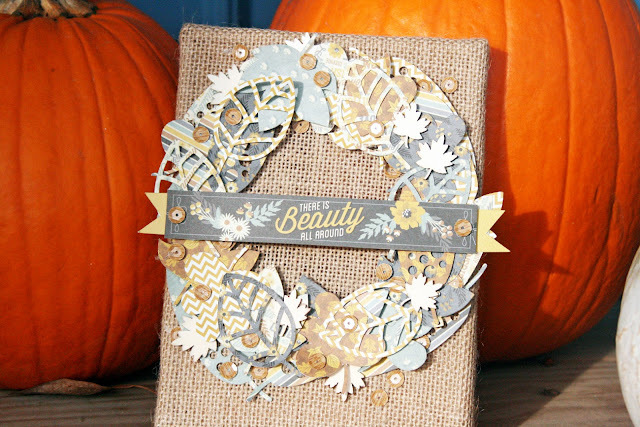 Love the burlap background and the addition of woodgrain sequins!